Here’s a warm Father’s Day message from Breaking Bad’s Walter Jr.
Father’s Day is a special time of year when we thank our dads for life lessons, gentle encouragement, male bonding, and, of course, fighting off a murderous drug cartel. 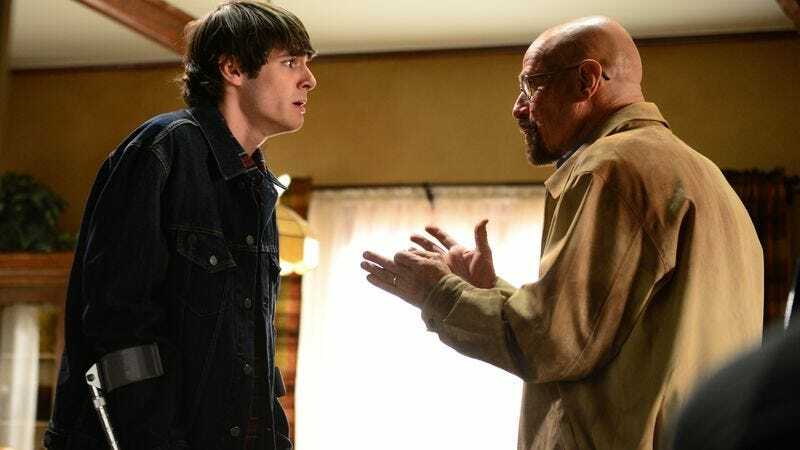 To celebrate the spirit of the holiday, RJ Mitte has reprised his Breaking Bad role of Walter Jr. to send a warm Father’s Day message to his TV dad, Walter White. In the clip below, Mitte thanks his fictional father for doing what few fathers would for their kids—murdering rivals, hoarding millions in cash, and building a crystal meth empire. (While the message does capture the holiday spirit like no other, it does contain spoilers for a show people are no doubt shaming you for not having caught up on yet, so consider yourself warned.) Junior even forgives dear old dad for spending so much time bonding with surrogate son Jesse Pinkman. After all, breakfast food goes a long way toward smoothing over a boy’s relationship with his absentee, pathologically lying, murderous, drug dealing old man. So, this Father’s Day, don’t forget to thank your dad for providing for the family, for supporting you through thick and thin, and of course, for being the one who knocks.